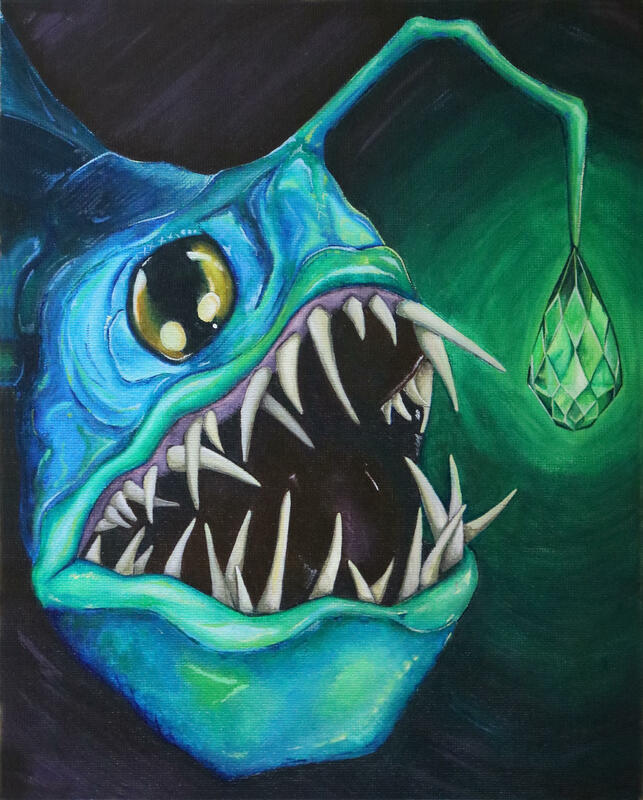 Art print of Emerald Angler Fish painting, printed on acid free, quality card stock. 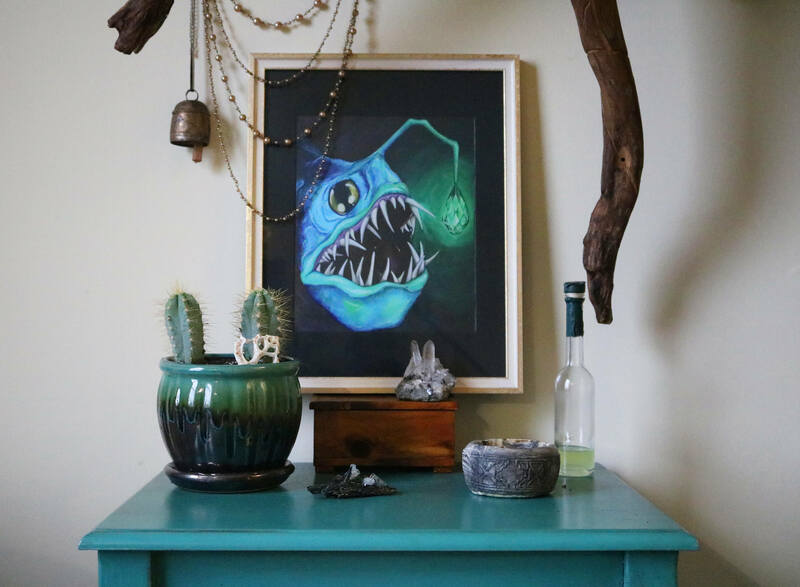 Total print size is 8.5x 11"
Total image size is 8x10"
The perfect gift for any animal lover! Packaged in resealable plastic envelopes and stiff cardboard to keep your print safe!